With 60-70 % being global players, 10-20 % are Indians contributing to the GDP. Consider failure as a stepping stone. “While there seems to be a lot of demand in the FMCG market what are the products that will be leading?” asks session moderator Anurag Mahajan, Director, Ernst &Young at the Opportunity India Summit, 2018, organized by Franchise India. Aditya Bagri, Director, Baggrys India Ltd., says, “People nowadays look at convenience. Also, there is a lot of premiumisation happening along with demand which is driving the FMCG growth.” It is no more about perception but a brand will actually have to deliver and match up to their name. Given that nowadays there is a lot of mushrooming of new entrepreneurs, a big problem is that it is a common misconception that global trends can also work that well in India. What works well in the international market might not work well at all here, customization and alteration is a necessity to set up. New age consumers are looking at different things. People are maturing and know what is right and what’s not and they have also started asking questions. The brands who have managed to enter a 25-year-old’s mindset has actually managed to penetrate and establish an emotional connection with him. Prabhtej Singh Bhatia, Founder and CEO, Simba Beer says, “You not only need to be connected with the brand but also need to be extremely transparent about the products. India is too big a market and requires a diverse product range.” Therefore, it can easily be concluded that in today’s time your product needs to be transparent and be able to establish a connect with the consumer base in order to be popular. The next thing to deal with is marketing. The millennials are highly pro-digital. 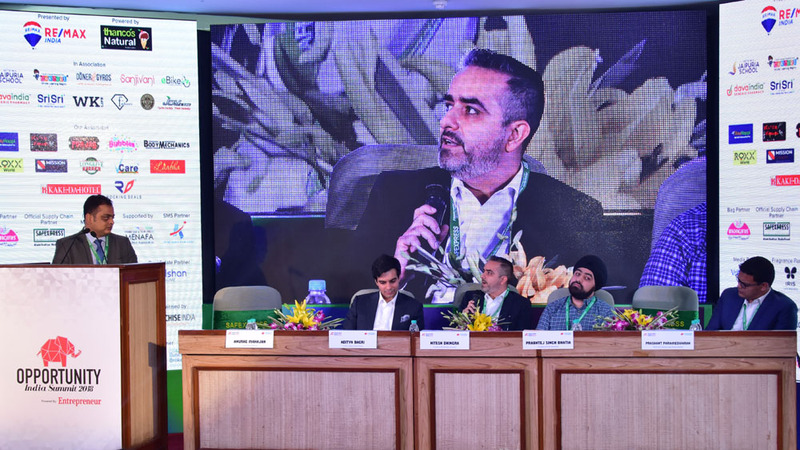 Both Prashant Parameswaran, MD &CEO, Kottaram Agro Foods (Soulfull), and Aditya Bagri, agree that digital marketing has reached that level of inflation that one can now freely post a story. This was previously unthinkable. About Us: At LongLive Pizza, our aim is to make a..
About Us: Join hands with Iris Florets - the happy play.. Replacing Tea Stalls with Chic Chai Bars..
How To Start A Dog Day Care.. The Ever Transforming Healthcare Industry..
Get Ready for The Future of Education..
Divya Jain Plans to Train 1 Million Students by 20.. The Need for an Innovative society..
Are We Set for the 4th Industrial Revolution?.. Escalating the Spa Business in India.. The Future Of Food Service..
How to Start a Coaching Institute in India..
What FoodPreneurs Need to do to Start a Café..
How Restaurants are Fixing Plastic Ban Effect..
Top 3 HR Trends for 2019..
How To Be A Desirable Franchisee..
Why It's Time to talk about Sustainable Menu.. In Love with Nature- Innisfree India Store..
Why Should Bar Pair The Right Music With Food.. Turning the Tables For a Better Experience..
Start A Dairy Business In Kerala..
“Experience is the Amalgamation of Process”..
Kurl-on In Franchise 100 List..
3 Ways Tech-Players can help Restaurants.. Setting Up Indian Schools Internationally..